Winter is on its way. I want to be able to keep running everyday and I am not going to let the cold get in my way. Here in New Mexico, we do get cold in the winter. Our average temperature may be 40 degrees in the winter but it can drop down to 20 degrees in the morning. I like to wear a fleece jacket when I go out running on cold mornings and one with a zipper is perfect as I can unzip it if I get too warm. This jacket will be great for our Balloon Fiesta which starts next week. The balloons launch early in the morning and it can be chilly then but it warms up quickly later in the morning. So I like to wear a jacket that I can up zip and then put in my bag. This jacket is light enough to stuff in a back pack. This is a sponsored post and I was sent the above item to write my post. My opinions are my own. 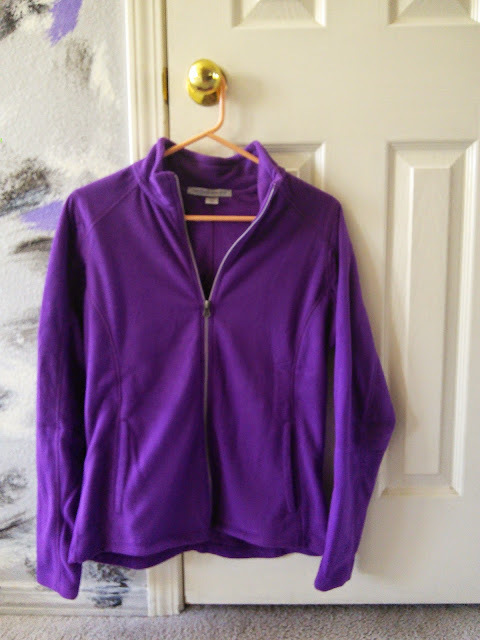 I was sent this wonderful ladies purple fleece jacket to review. This fleece jacket is perfect for cold days when I want to go running. I love that it is light weight but will still keep me warm. The zipper is perfect so I can unzip it if I warm up while running. I love how soft the jacket is and I love the purple color.This microfleece jacket comes is sizes XS- 4XL and has side pockets. When I need to buy a fleece jacket or other apparel it is good to know that Apparel n Bag has a wide selection at good prices. Apparel n Bags sells a wide variety of clothes for men, women, boys, girls, and even infants. They also sell work wear clothing, headbands and bags.I love that they give volume and bulk discounts when you order more than 6 of one item or over $100. This would be great for sport teams and groups that want to do t-shirts for an event. This store also sells name brand items like Hanes, Champion, and Gildan to name a few. I saw some cute running shorts that I want to order while I was browsing and some compression shorts for my son who is on the track team. The cool thing is they sell many of their items in a lot of different colors. I am set for cold weather now with my purple microfleece jacket. That jacket looks cozy! My Fall wardrobe is lacking so I'll have to look into this. Thanks! Looks great on you! Purple is a nice color on you. You are all set for fall! That is something worth checking into not only for me, but for my girls as well. Thanks for sharing! I took a look at their shapewear and they have pretty good prices! I love the shade of the purple! It's so perfect for Fall! That's a cute jacket. I really love the color you chose too! looks like a warm cozy jacket. It is getting colder out, and time to get some warmer clothing. I love the look of that purple fleece jacket! It would be perfect for early fall temps in northern New England! 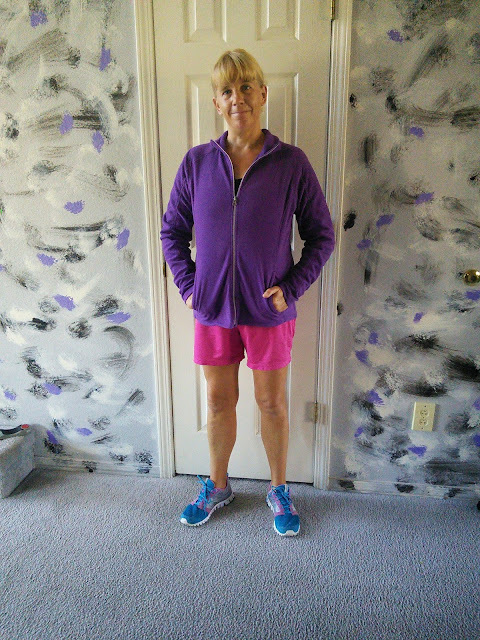 I love this, purple is my favorite color and it looks great on you! Never heard of this site. Thanks for sharing it. The jacket looks great on you! I am going to see if they have it in my size. This site has so many items for shopping. Price is too good.